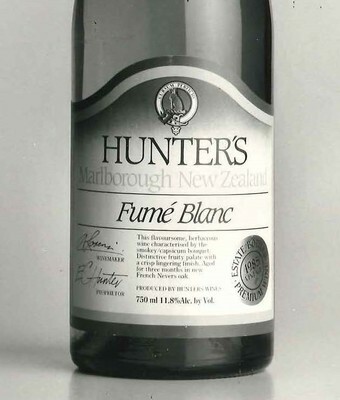 "The star of New Zealand wine"
The first six Hunter’s Wines to emerge were all award winners, the 1982 Marlborough Muller Thurgau Dry winning at the National Wine Show. 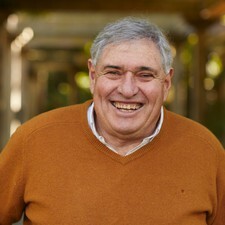 The ever-enthusiastic Ernie, purchased farming land in Blenheim and planted Riesling, Gewurztraminer, Müller Thurgau, Cabernet Sauvignon, Chardonnay, Riesling, Pinot Noir and of course, Sauvignon Blanc. 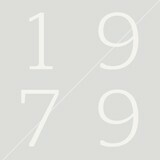 From their very first vintage in 1982 Hunter's won six medals at the National Wine Show. It was a good start. 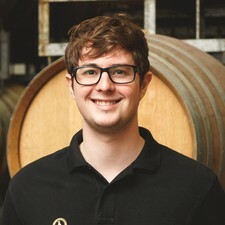 The young South Australian was appointed to the position of National Viticulturist for Montana Wines based in Blenheim. 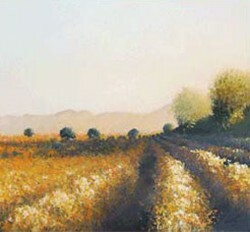 Jane and Ernie met and married in 1984. 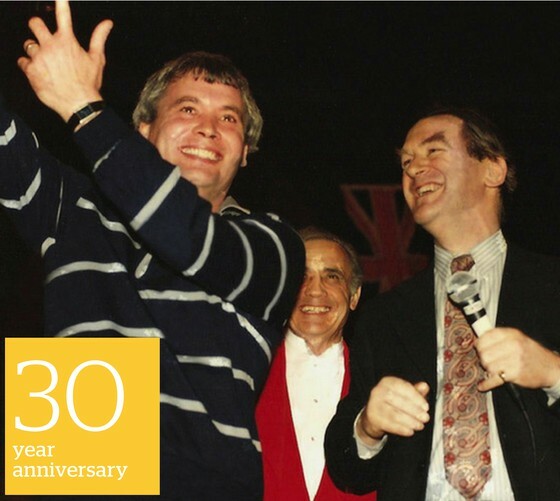 In 1986 Hunter's surprised the wine world by winning The Sunday Times Vintage Festival in the UK with an oak aged Sauvignon Blanc. 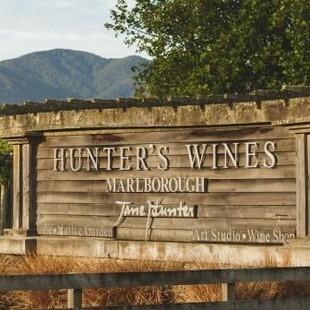 Articles about Marlborough began appearing in wine magazines and Hunter's Chardonnay made Decanter's Best Wines List. The world was taking notice. 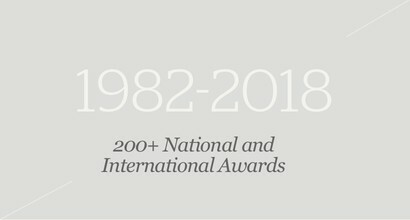 New Zealand sauvignon blancs first came to the attention of international wine drinkers when Hunter’s won the top award at the Sunday Times Wine Festival in London in 1986. And then again in 1987, 1988, 1992 and 2001. 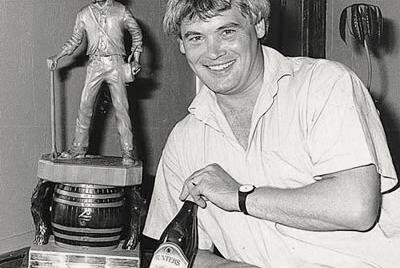 Only five years after producing his first six award winning wines (the first six Hunter’s Wines to emerge) Ernie was tragically killed in a motor accident. 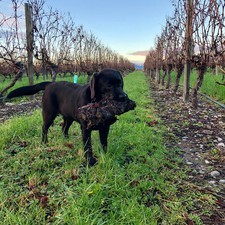 Jane, herself a highly qualified viticulturist, took over the reigns immediately. 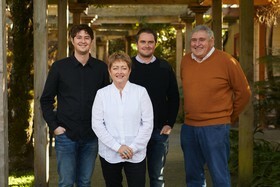 Through her strong determination, she resolved to build on the vineyard's proven potential and success. Sauvignon blanc put New Zealand on the world wine map. 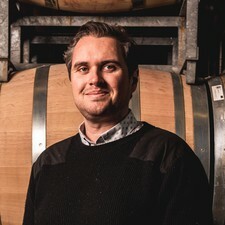 The 1985 vintages from Hunter's, Montana and Cloudy Bay introduced the British wine-drinking public to New Zealand wine and Sauvignon Blanc has been connected with wine from the Marlborough region ever since. 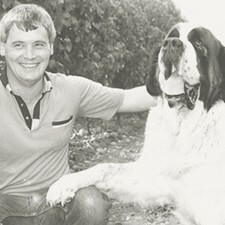 The crest appearing on the Hunter's wines label is that of the Hunter clan of Scotland, but visitors often associated the logo with Commodore, Ernie's gigantic, but affable St Bernard and then Jane's gregarious Clumber Spaniel, Paddy. 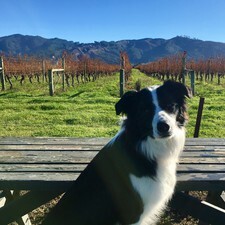 Today Hunter's has Ricky, Chief Winemaker James' Border Collie, and Lola, Assistant GM Edward's Labrador Retriever. 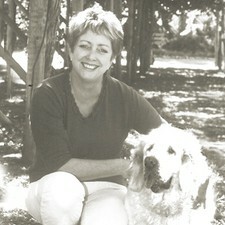 Jane is an internationally respected vintner and recipient of the prestigious UK Women in Wine Award and has an OBE. 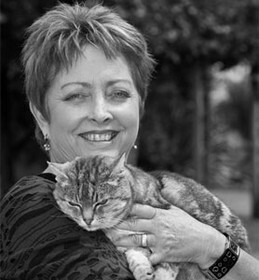 Exactly 25 years after taking over managing Hunter's Wines Jane was appointed a Companion of the New Zealand Order of Merit (CNZM) for services to viticulture. In 2016, Jane received the Wolf Blass AM Award in Australia, and the Wine Marlborough Life Time Acievement Award. 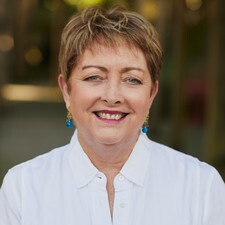 In 2018, Jane was inducted as a Fellow of New Zealand Winegrowers.